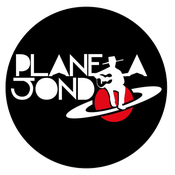 Planeta Jondo is band that was created by six young musicians from Huelva (Spain) that captured an unclassifiable project, finding the connection between the traditional Flamenco and other ethnic music (Cuban, Argentinian...), Jazz and electronic, opening an experimental journey of new dynamics. The group was created at the end of 2014 when its members happened to meet in a production created exclusively for the yearly festival "Luna de Verano" held in Moguer, Spain. Since then, motivated by close musical thought, they laid down the bases of what is today know as Planeta Jondo. Currently, they started a project named GOLPEA from the writer Juan Cobos Wilkins in which they transformed poems of original music from his latest book "El mundo se derrumba y tu escribes poemas". This show was presented on the 24th October in the VIII "Encuentro de verdes escritores y creadores".